Dr. Keegan to spearhead fundraising, product development, and sales strategy as company begins development of high-throughput kinetic characterization system. 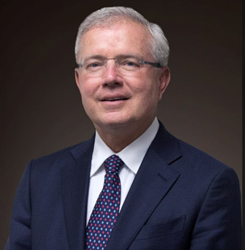 Nanomedical Diagnostics, a pioneer of graphene biosensors that accelerate pharmaceutical and biotherapeutics development, appoints Dr. Joe Keegan as Executive Chairman. As a former CEO of FortéBio and Molecular Devices with over thirty years of life science industry experience, Dr. Keegan brings fundamental knowledge in commercializing cutting-edge technologies like Nanomedical Diagnostics’ proprietary Field Effect Biosensing (FEB), a label-free technique. Notably, companies Dr. Keegan led as CEO or served on the board of directors have generated $2 billion in exit value. Nanomedical Diagnostics’ first FEB product, single-sample format Agile R100, is a highly-sensitive kinetic characterization platform that makes information-rich label-free data available to any drug discovery lab. The company plans to introduce a high-throughput version that could characterize entire fragment libraries in a matter of hours.